Mr. Khan is a statistician by training. Currently, he is doing PhD in Public Health at the University of Canberra, Australia. He completed Bachelor and Master’s degree in Applied Statistics from Institute of Statistical Research and Training (ISRT), University of Dhaka, Bangladesh. He worked as a Statistical Officer at International Centre for Diarrheal Disease Research, Bangladesh (icddr,b) under Nutrition and Clinical Service Division (over 2 years) in different nutrition and health surveys and projects. After that, I also worked as a Business Intelligence Executive at Grameenphone Ltd. (over 2 years ). 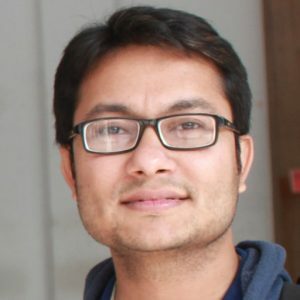 Besides these experiences, he is working as Course Designer of an online course on “Basic statistics and R for Bioinformatics” under the Center for Bioinformatics Learning Advancement and Systematics Training (cBLAST), University of Dhaka. He has experience in designing surveys, questionnaire, and mobile-based data collection tools development, training survey staffs, field implementation, managing and cleaning primary data, analyze the collected data, scientific reporting, and writing scientific manuscripts. In the last few years, he has continuously involved in research especially in public health and worked in different collaborative scientific research projects and papers. He has several scientific research papers published in internationally recognized journals, the majority of them are in the field of public health, biostatistics, and epidemiology. Moreover, he is serving as an assistant editor of a biomedical journal named “Journal of Biomedical Analytics”. In addition, he regularly is regularly reviewing scientific research papers from renowned journals from internationally recognized publishers (like Nature, Springer, Wiley, PLoS, SAGE and Cambridge University Press etc). Mr. Khan is very enthusiastic about research especially in health and statistical fields. He loves statistical computation and data analysis, specifically a big fan of statistical programming language R. In summary, he wants to serve the community through research. 2019 © Biomedical Research Foundation All rights reserved.